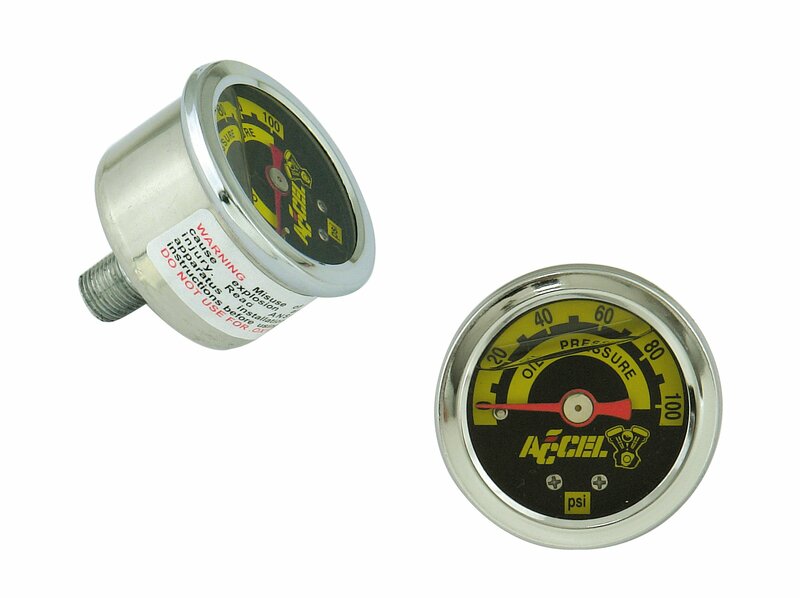 ACCEL Motorcycle oil pressure gauges are premium quality liquid filled pressure gauges. The top of the 1-1/2 in housing holds a pure glass lens that will not melt, distort, or fade. The housing is stainless steel and the solid brass internals are bathed in a vibration dampening glycerin.